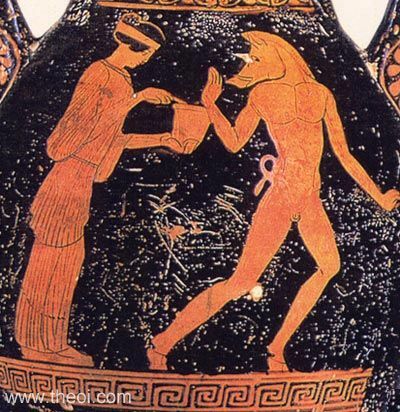 The witch Circe transforms one of Odysseus' men into a boar. The man is depicted partially transformed with a beast's head, tail and hooves. Circe holds a mortar and pestle (or bowl and wand) in her hands.